The ability to silence gene expression is an invaluable tool for elucidating the importance of intracellular signaling proteins which contribute to the effector functions of mast cells and basophils. 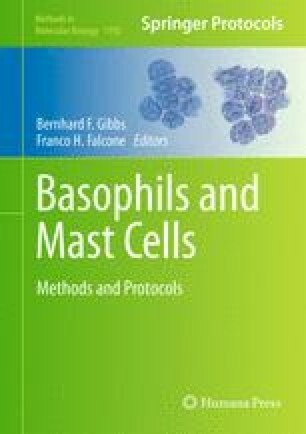 However, primary mast cells and their terminally differentiated blood counterpart, namely basophils, pose a difficult challenge for gene silencing approaches given not only their state of maturation and difficulty to transfect, but also because their functions are readily altered by cell-handling conditions. Here, we describe a method using lipofection which has been successfully employed to silence gene expression using siRNA in human LAD2 mast cells as well as primary human basophils.